When Angel Number 31 is presenting itself in your life frequently, the guardian angels will bestow you with hope and confidence and you will be capable of completing your jobs with ease and poise. You are being persuaded to explore the spiritual side of personality which will make life more stimulating. 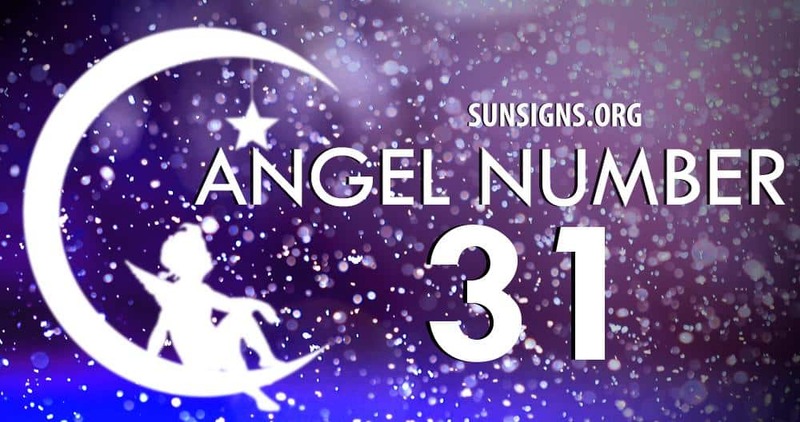 Angel Number 31 is giving you a message that you will achieve affluence by affirmative expressions and dreaming about your future while having full faith in the blessings of the Supreme Power. Success in life can be accomplished with a constructive attitude and by looking for new openings. When you mix the forces of Number 3 and Number 1, you get the characteristics of angel number 31. Number 3 stands for expression and realization, help and support. The number also signifies power and development, growth and diversification. Other qualities of Number 3 are eloquence and naturalness, aptitude and capabilities. The Number 3 indicates that you are surrounded by spiritual powers, and you can ask for their support whenever you want. These spiritual forces get connected with your inner self and help you in expressing your goals. They help you to maintain inner harmony and devotion. Number 1 signifies management and aggression, enterprise and perception. It indicates a new approach while commencing new ventures. Other qualities of Number 1 are drive and determination while executing projects. Hence Number 31 has the attributes of originality and development, zeal and confidence combined with self-expression. Divine forces will lead you through the correct path and you should lead your life with optimism and conviction. You will become more prosperous by giving more to the society. Angel Number 31 is promising you that your life will be affluent and dazzling with the help of the angels and divine forces. Your life will be exciting and joyful in all respects. It will be your endeavor to spread happiness and cheer to all the people around you.